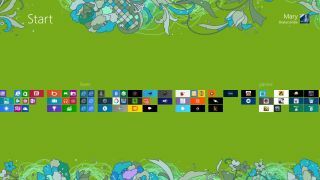 Reports of Microsoft updating some of its own first-party apps on Windows 8 and Windows RT ahead of the Blue update first appeared earlier this month. At the time, it was believed this update could arrive before the clock struck April 1, though the refinements wouldn't be nearly as comprehensive as what Blue will supposedly bring to the table. Now ZDNet is reporting that various sources have discovered "installation ready" coding for 18 apps like Music, Bing and Mail in both Windows 8 and RT. Considering how disappointed users have been with the functionality of these free first-party apps, the news the updates may be just around the corner bodes well for those who were early adapters of new Windows devices. Even if Blue isn't expected until later this summer, the updates coming to Windows 8 in the interim should tide users over in the meantime. Among the other apps being tweaked in this yet-to-be-dated update are SkyDrive, Xbox Live Games, Photos, Calendar, Messaging and Camera. The files were found by WinSuperSite in the Windows 8 system log, where any administrator could easily access them, though the files are all for pending updates, and not the actual updates themselves. The same list was also found on the Surface RT, though there's still no indication of when Microsoft will actually roll out these changes. ZDNet sill believes the apps will all be improved before the end of the month, including those running on Windows RT. TechRadar asked Microsoft for comment on this report, and will update this story when we hear back.